Since 1973 Outline have been applying that Italian passion and design flair to the science of designing loudspeaker systems and associated technologies. 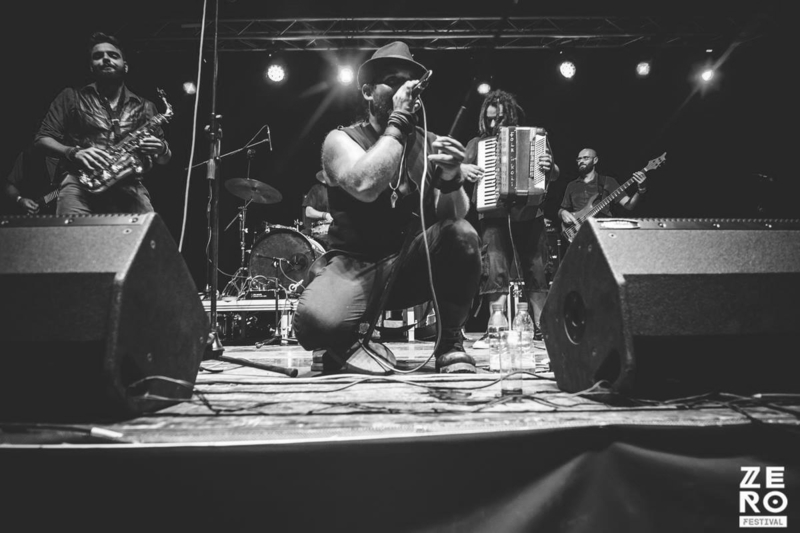 The roots of the company lie with founder Guido Noselli, who as a young musician was dissatisfied with the audio quality being delivered to his audiences. 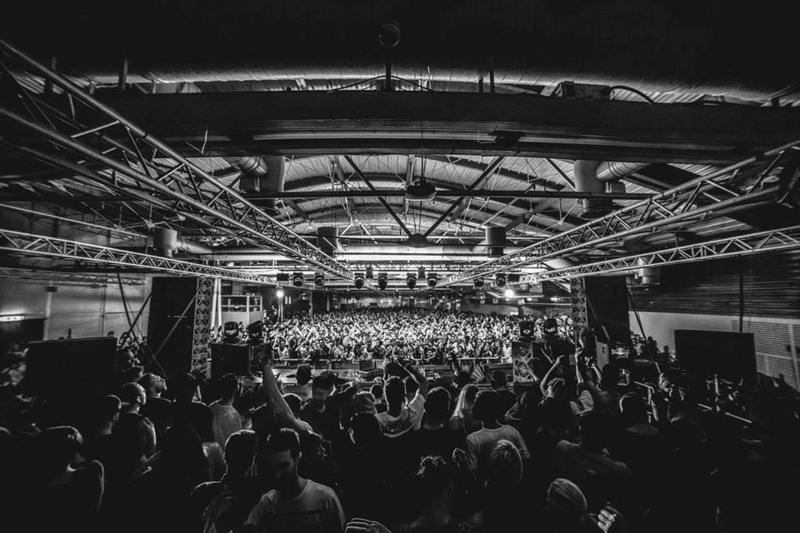 His ambition for sonic improvement coincided with the emergence of the disco scene of the mid-70s and the subsequent demand for powerful, full-range loudspeaker systems for the Italian ‘super clubs’ of the day. Outline was born. Over the past 40 years, Outline has pioneered a number of products and technologies that enhance not only their own products but those of their contemporaries too. A good example is the ‘ET System’, a computer-controlled turntable which greatly simplifies the measurement of the polar dispersion characteristics of loudspeakers. Designed originally for in-house use only, this remarkable device (upgraded to the ET 250-3D in 2008) has since been purchased by many of the world’s best-known loudspeaker manufacturers as well as various universities, institutes and multinational companies working within the field of acoustics. Similarly, Outline engineers developed and refined the Unimetal® concept for compression driver diaphragms. This process, unique to Outline, produces diaphragms which are extremely thin and light yet retain the necessary structural rigidity by incorporating the voice coil and suspension into a single component. They dissipate heat very quickly and are also extraordinarily efficient at converting electrical energy into acoustic output, resulting in a noticeably more natural and dynamic reproduction. Outline’s headquarters in Brescia, near Milan in northern Italy, houses all the principal activities of the company. While many companies have moved some or all of their manufacturing offshore, all Outline products are still 100% manufactured in Italy. Their dedicated R&D team includes professors and graduates in both acoustics and physics. Their deep theoretical expertise is balanced by the decades of hands-on experience of their colleagues, resulting in designs that combine valid acoustical theory with real-world practicality. After 40 years, Outline remain absolutely committed to researching and designing professional tools that allow creative people to deliver their art to audiences of every size in any location. 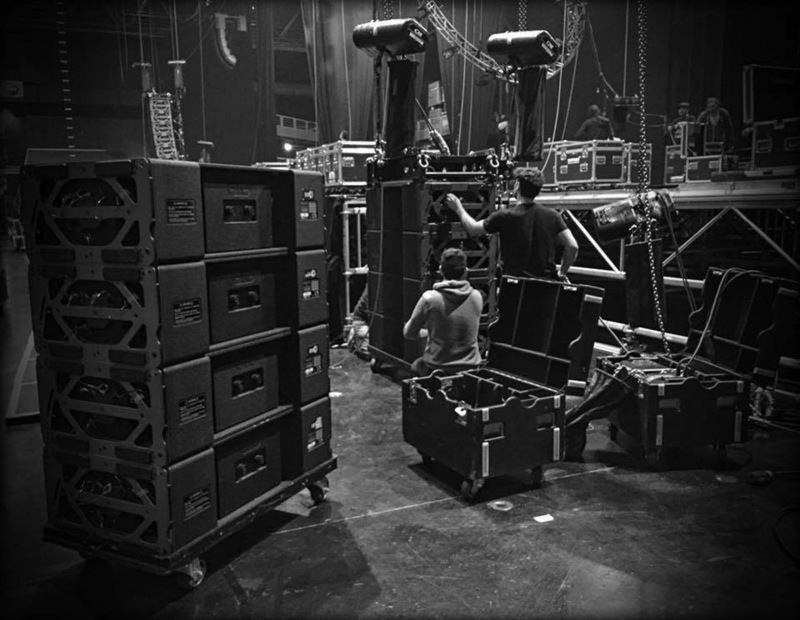 With a longstanding history and pedigree in live sound, Outline’s presence in this sector took a major step forward in 2003 with the launch of Butterfly. Butterfly became well known not just for its quality, but also for its enormous SPL and throw capability due to Outline’s patented DPRWG waveguide and immensely compact three was design. Butterfly has gone on to earn an excellent reputation among the most respected rental companies worldwide (particularly in the UK and the USA), who use it as a valuable work tool on a day-to-day basis. Since 2003, Outline have continued to develop and launch more solutions dedicated to this sector, all based on the own patented technologies. This culminated in the introduction of GTO, which has gone on to be adopted by some of the world’s leading production companies. Outline offers an extensive range of installation products offering a complete range of high quality solutions for a large number of installed applications. All the products offer versatility, and of course great audio quality, an array of mounting options, and custom capabilities. All models feature high quality Italian-made components and are designed, sourced and manufactured to the same stringent quality standards Outline applies to all of their high-end touring audio products. Common characteristics are high intelligibility, extraordinary audio fidelity, and excellent power-to-size ratios. Outline offers a compact range of high performance products specifically designed for the stadium installations. 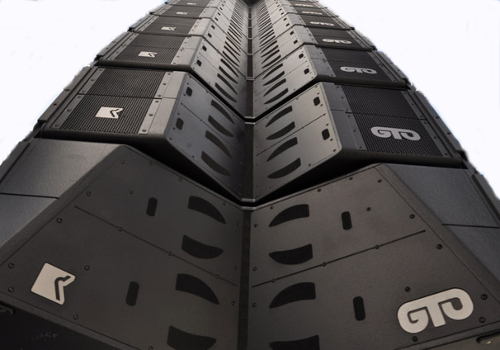 All the models us the same D.P.R.W.G and Power-V technology that is deployed in the high performance touring line array products. 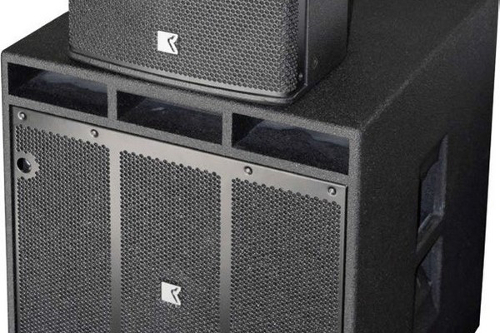 As a result they deliver a massive 149dB, and a full range frequency response extending down to 65 Hz. The enclosures are constructed from birch ply finished with ‘outSIDE’, an extraordinarily tough and waterproof elastoplastic coating which interacts with the cabinet material to provide extreme levels of long-term protection. 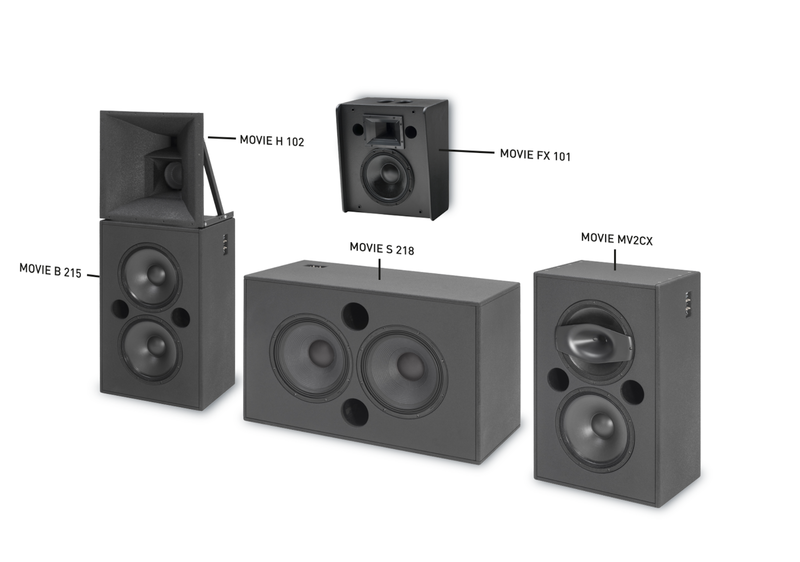 With the Movie Series, Outline introduces a complete line of cinema loudspeaker enclosures. The five (5) models in the range are designed to meet all requirements of current and future Digital Cinema sound formats. Among the key strong points of Outline’s cinema system is the reduction of phase cancellations to a minimum in the critical range of the spoken word and very accurate directivity control. 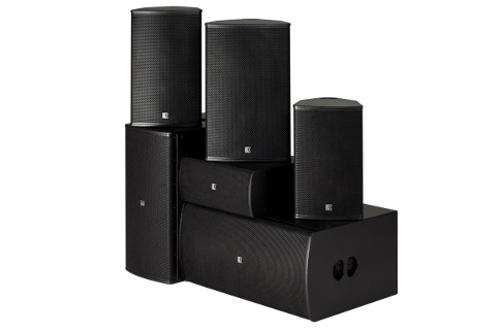 The main channel is a high-performance 3-way system and can be formed by using a 2-way horn-loaded mid-high unit (Movie H 102) along with a dedicated bass unit (Movie B 215). An interesting ‘two-and-a-half-way’ system is also available, the Movie MV2CX. A 2×18″ subwoofer (Movie S 218) and an enclosure for surround effects (Movie FX 101) complete the series. Outline offers an extensive range of portable products offering a complete range of high quality solutions for a large number of portable applications. With passive and self-powered options for most of the products there is a product to meet the needs of most portable applications. 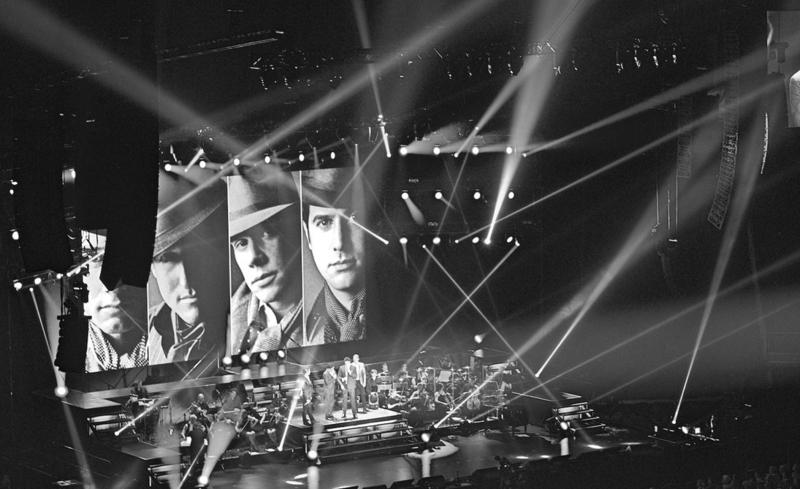 All the products offer versatility, and of course great audio quality, and an array of rigging and transport option. All models feature high quality Italian-made components and are designed, sourced and manufactured to the same stringent quality standards Outline applies to all of their high-end touring audio products. 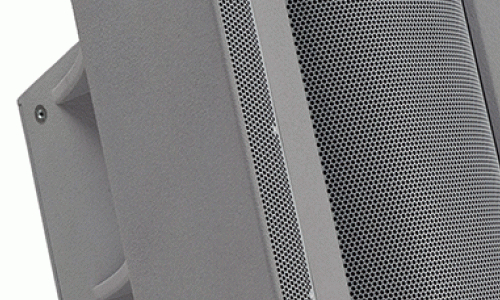 Common characteristics are high intelligibility, extraordinary audio fidelity, and excellent power-to-size ratios. Before and loudspeaker system in any application live or installed the heart of the system is system control. 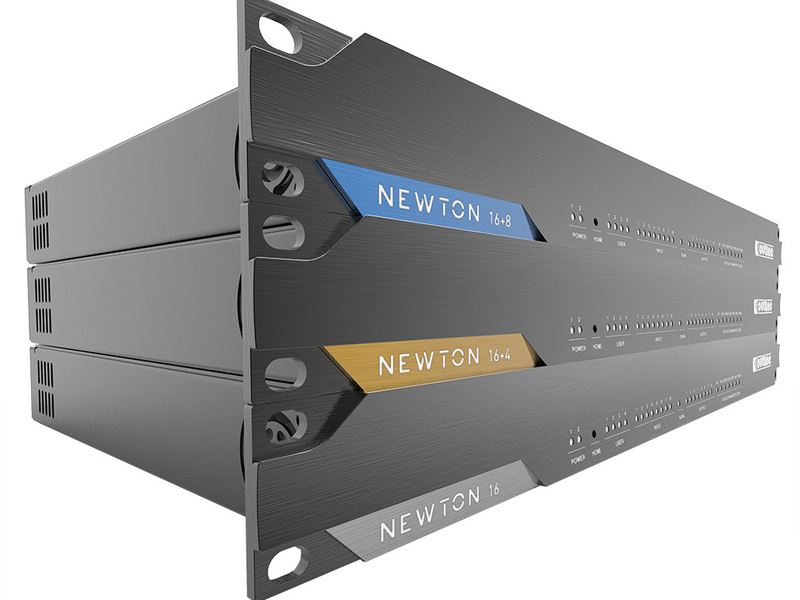 This is why Outline has launched Newton - a full-featured, FPGA-based ‘Multi Media Nucleus’ that takes technology convergence for audio-visual systems to the next level. Newton redefines the ‘gold standard’ in modern audio processing and represents another quantum leap forward from Outline. In addition to comprehensive loudspeaker system control facilities it additionally offers media conversion, sync and clock management plus audio distribution with networking capability, along with a very high potential i/o count (up to 216 in both directions simultaneously).